Each of these paintings are portraits of dear friends of mine as well a self portrait. I let the energy of each subject tell me what pattern to use as well as what flower. 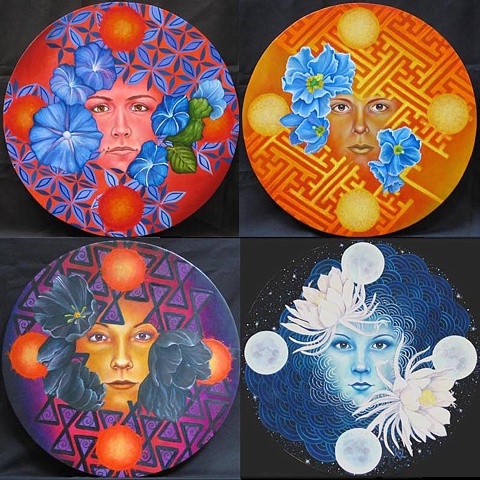 They are the muses of the hours, the nymphs of passing time that embody the vibrations and personalities of our cyclical days. The only painting available in this series is "Sunrise (Sara)" for $500. All the paintings are available as cards as well as prints. Please email me for details.